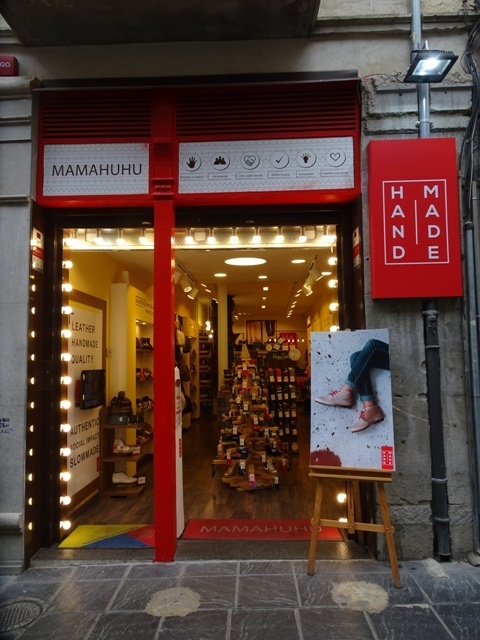 As an ethical shoe brand Mamahuhu is represented by two shops in Barcelona, one shop in the main shopping street of Granada and an online shop. The online stock is based here at the shop in Granada, where I am working. When I started this entrepreneurial exchange, Henrik and Effy were in Granada too. They run the online business, my main field of interest. In these first days they showed me the stock, how to take professional product photos, put them online and work on the SEO (Search Engine Optimization). Beyond that I got important insights into preparing online orders for shipping and how to meet high standards of customer service, i.e. 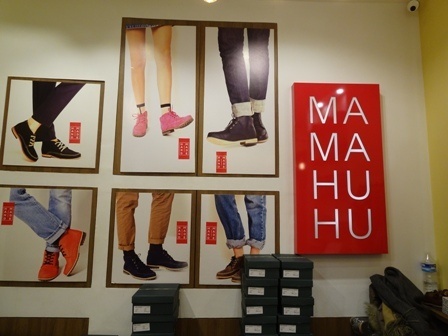 with each order the customer gets a handwritten card which explains shortly how they support ethical fashion by buying Mamahuhu shoes and who had made their handmade shoes. It is just great! After Henrik and Effy left for Norway, I am the “head of online business” here in Granada. Besides working at the stock, preparing orders and fulfilling customer needs, I work on the online content by creating crucial content such as blog posts, research for optimization and as a big goal: to get more traffic to the website of mamahuhu.online. My first blog post about the top 20 must read books on ethical and sustainable fashion is almost finished. So in this past month I had not just a deep insight into the work of online and offline business but became also more familiar with this lovely city of Granada where each corner is historically rich and needs to be explored. Besides that speaking four languages on a daily basis (English, German, Spanish and Dari) was at first quite a challenge but by now it is becoming real fun. I am looking forward to the next months since we have interesting plans and visions for Mamahuhu online! I am excited to be part of this growing ethical business where I get inspired everyday for creating my own (online) business. Karima is a new entrepreneur with the German IO BUPNET GmbH – Bildung und Projekte Netzwerk GmbH Göttingen (eye.bupnet.de).